The mission of Cambridge is to continuously advocate the best interests of our students and to bring out their unique qualities. We also equip every caregiver with the necessary knowledge and skills to be our partner in helping us mold and develop these unique qualities in our students. 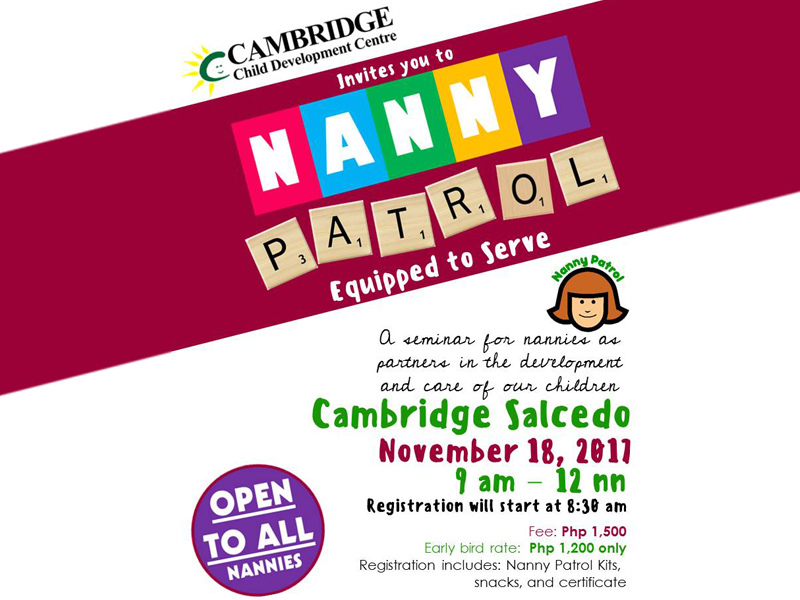 In line with this, we are conducting an education seminar for all Nannies. Nanny Patrol will start at EXACTLY start at 9am and will end at 12pm.